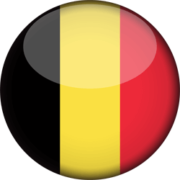 On 22nd January, during the National Council on Work, the Belgian Federation of Companies (http://www.feb.be/), The Belgian General Federation for Work (http://www.fgtb.be/) and the Confederation of Christian Unions (https://www.csc-en-ligne.be/) announced the extension of the criteria by which parents of children with disabilities can obtain care leave. The defining parameters of a ‘child with disabilities’ and the time-credit for care leave are widened and the leave allowance increased. The child’s physical disabilities, their decision-making capacity, their independance as well as the family burden will, from now on, be considered.